If you are visiting Portland and are pressed for time, this is a nearby hike (less than 10 minutes from downtown) that gets you into the forest. Even if you have a half-day, the multiple trails and creek are enhanced by the visitor's center and several large birds that are being cared for. There are two parking lots; the one on the East side only allows for 30 minute parking, so try the overflow lot on the West side of the road. Note that it is a small lot, so on busy days you may need to park on the side of Cornell Road at pulloff areas that are a ways away. 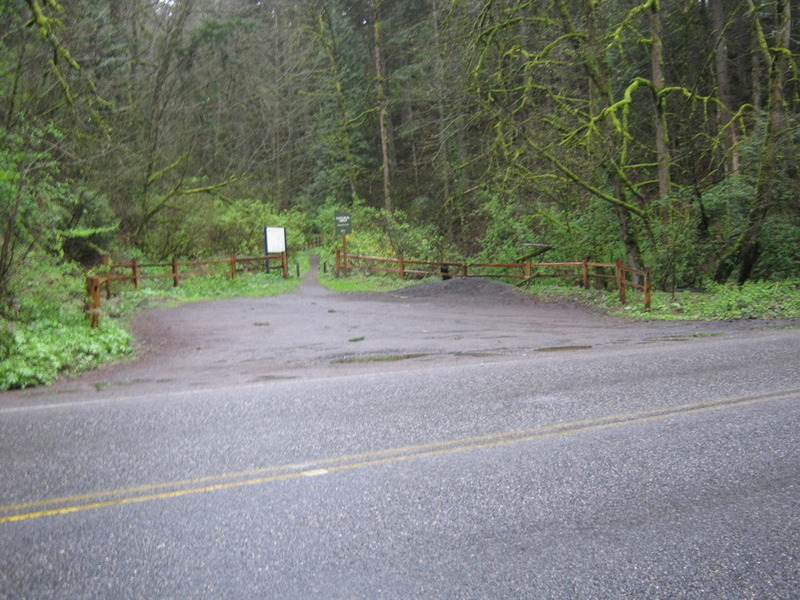 Either go to the web site at audubonportland.org or pick up a map on site, or just find one of the sign maps and plan your trip. 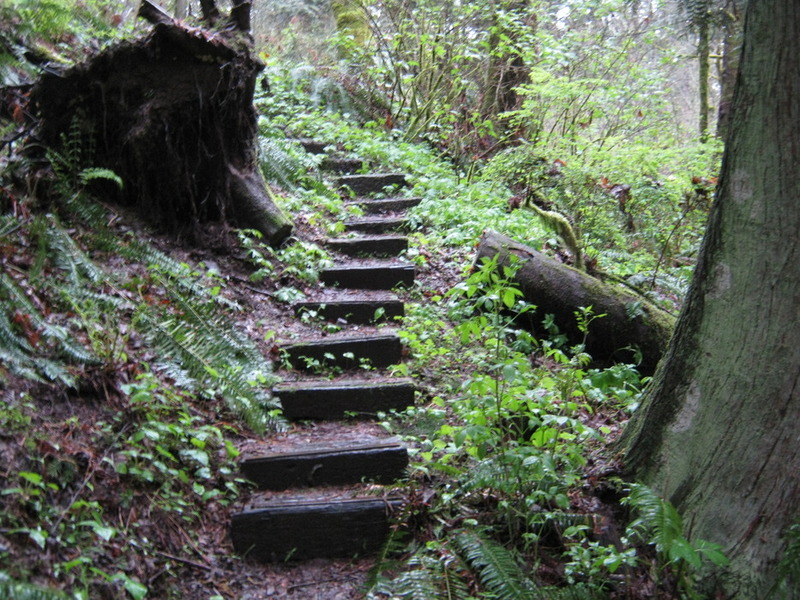 The trails are clearly marked and signed, so you should have no trouble finding your way. 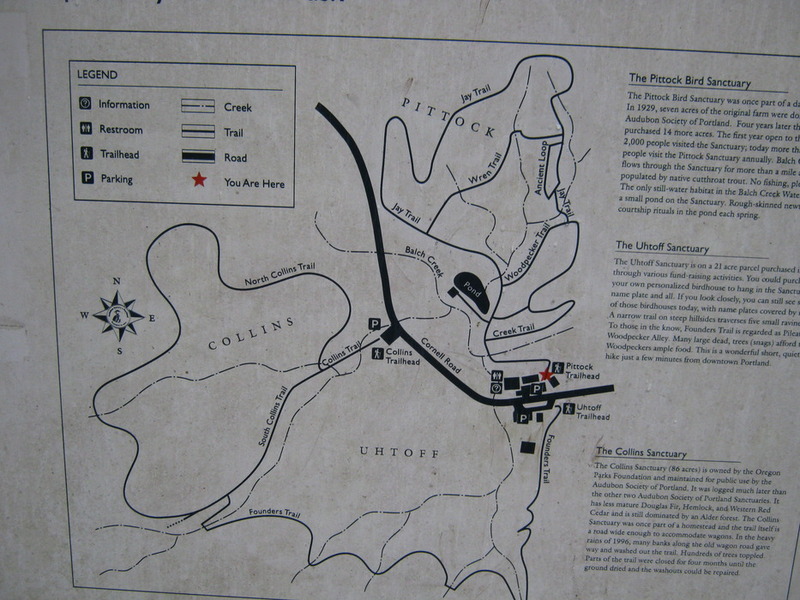 This description includes the outer loops of the Founder's and North Collins Trails to the West, and the Jay trail on the East. 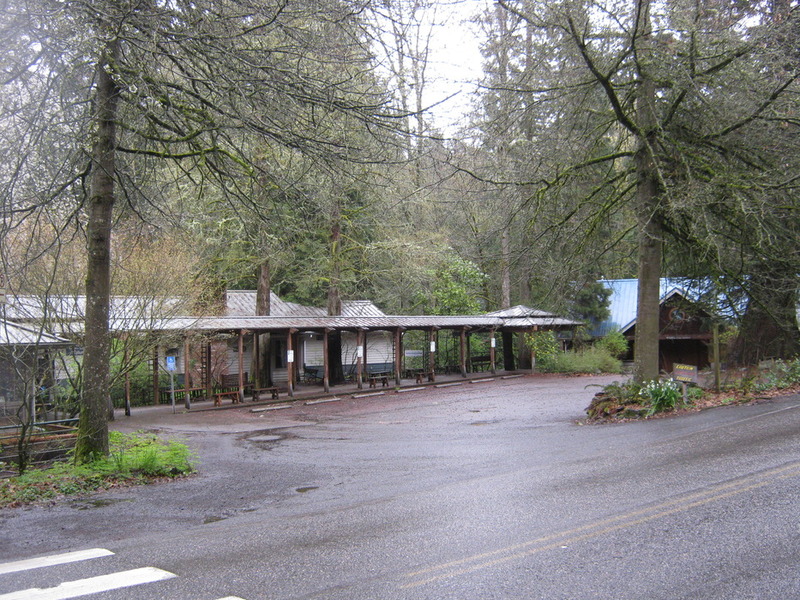 The Founder's trail begins to the left of the structure on the West parking lot. 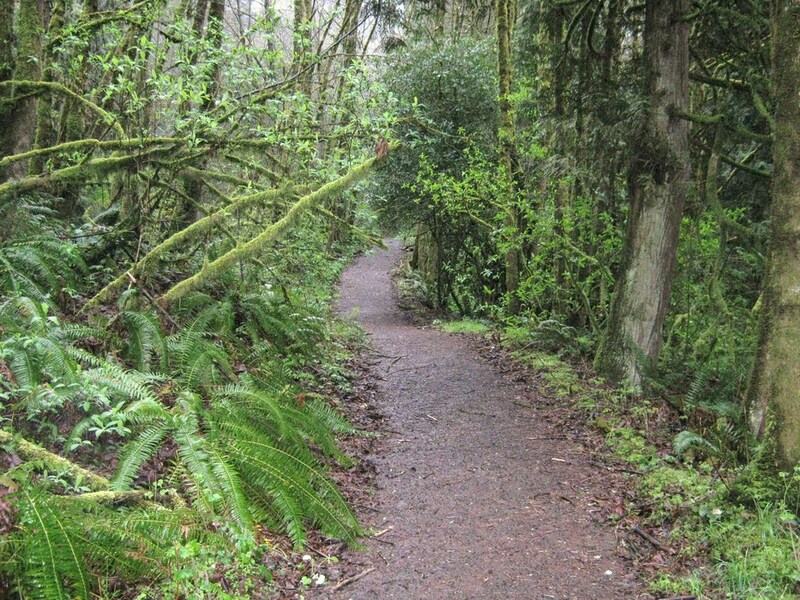 The wide trail quickly takes you away from the main road and from civilization. 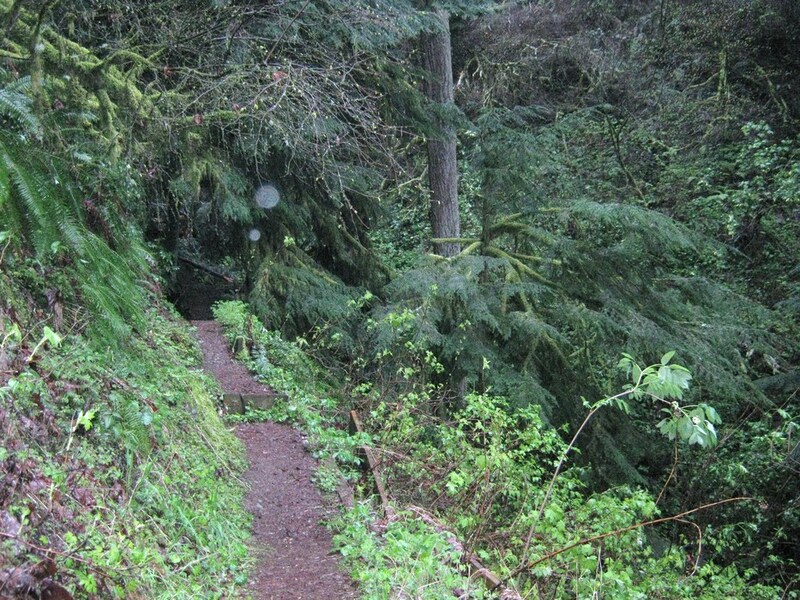 The trail quickly thins out and you are surrounded by a forest of trees and plants. Of course, listen for the wide variety of birds as well. 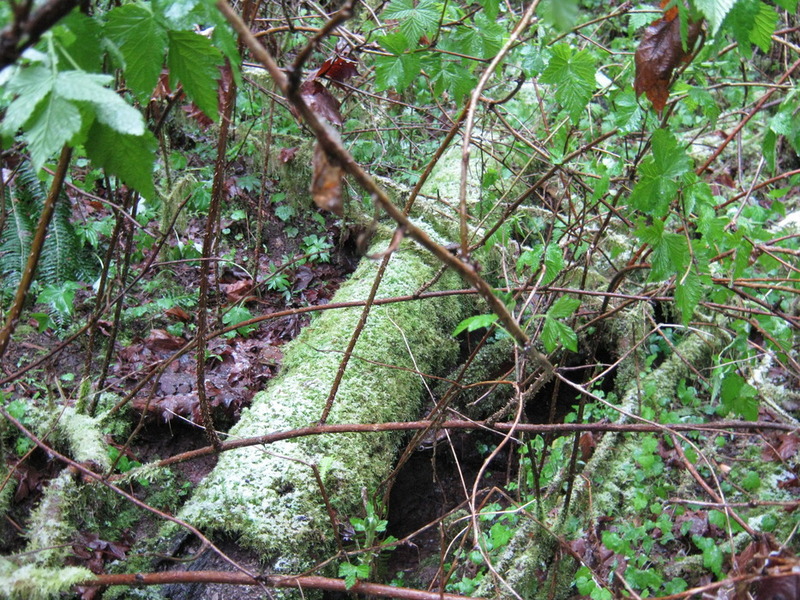 On this cold, rainy morning, there was still evidence of snow on a log. 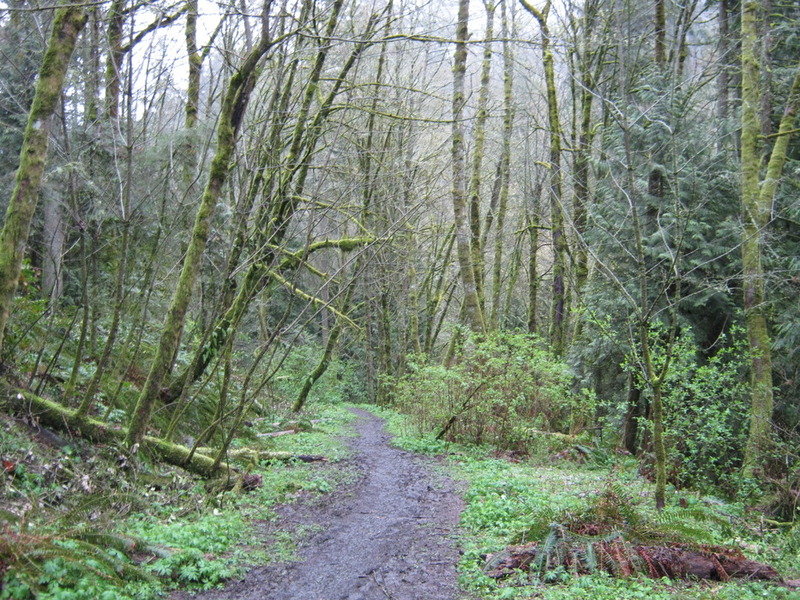 The trails are well maintained. If it is rainy, be sure to wear something that can handle the muddy portions. 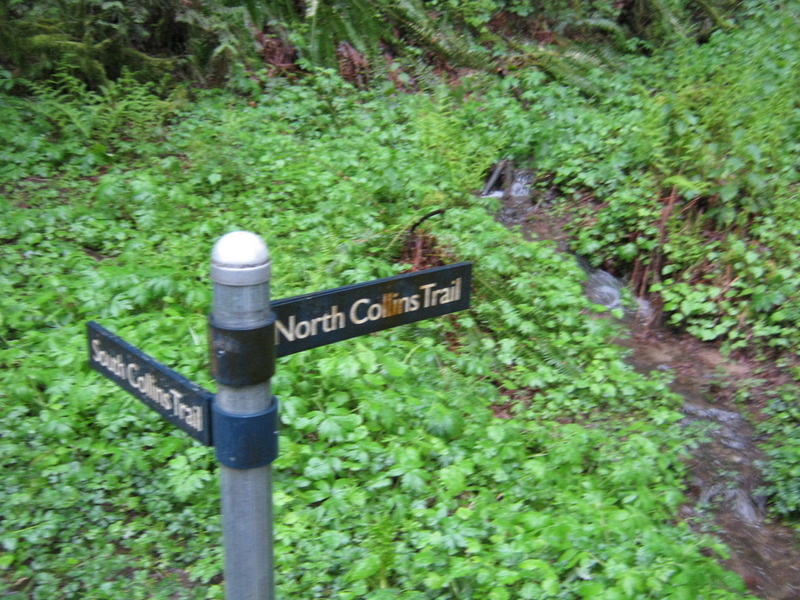 After ascending for 1/2 to 3/4 mile, turn left (West) to take the North Collins trail. Note that there are signs to point the way. 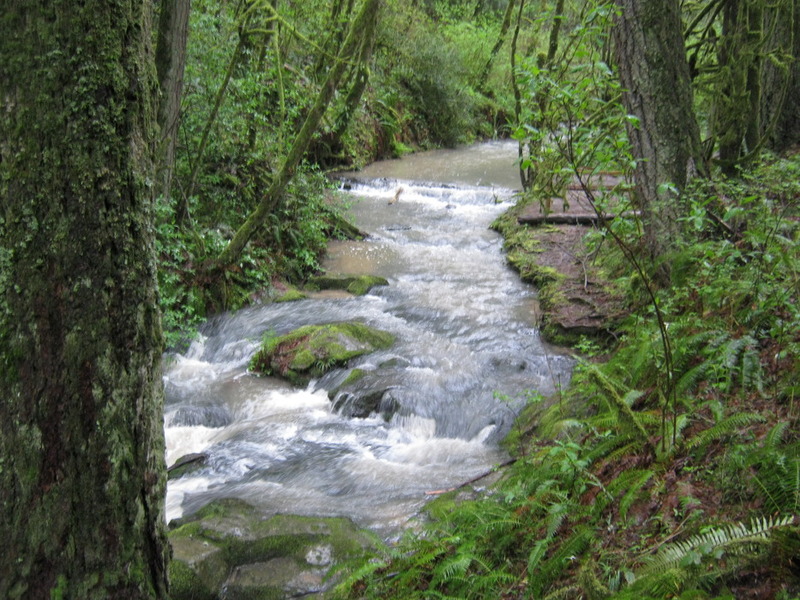 As you descend back toward the main road, there are good views of the creek, especially after rains. 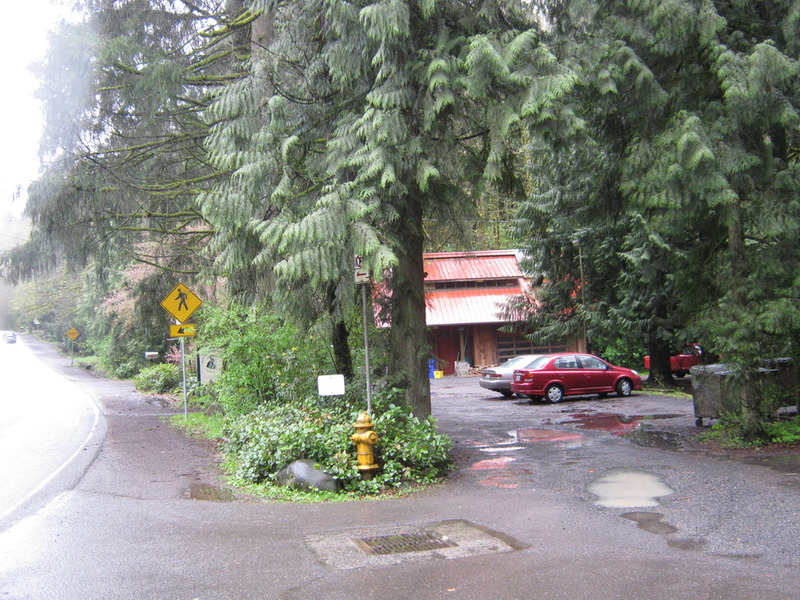 The Collins trail ends at Cornell road, where there is a small parking lot. Walk back Southwest a short distance (watch for cars) to the Sanctuary buildings. 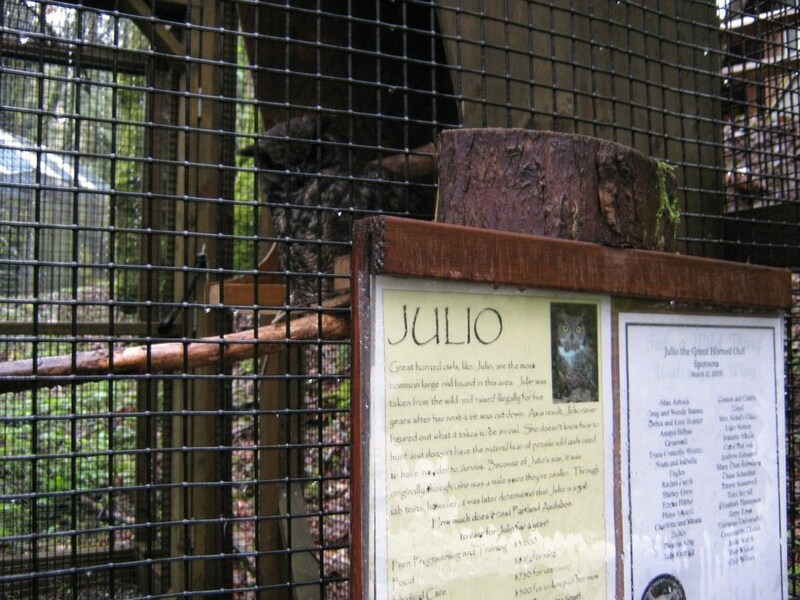 Before visiting the Center, continue between the buildings, say hi to Julio the great horned owl, and take the trails on the East portion. 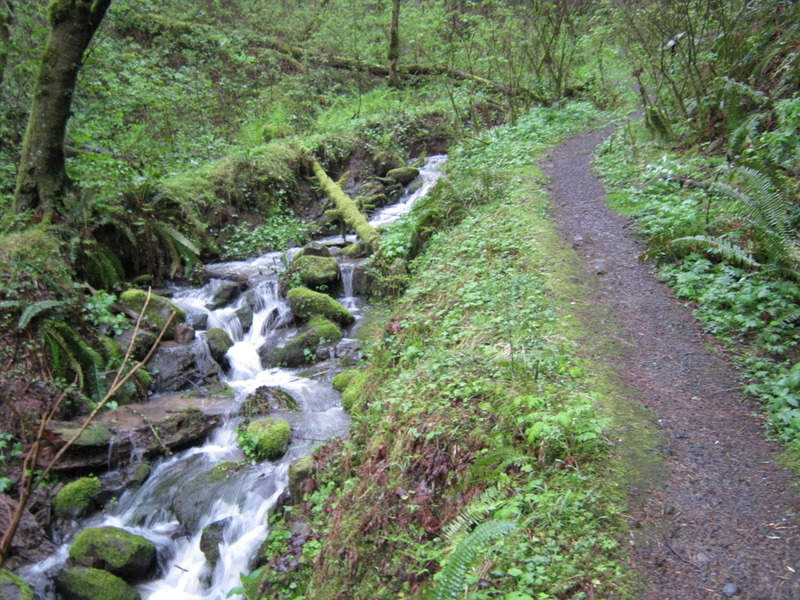 The trail quickly descends to the creek. 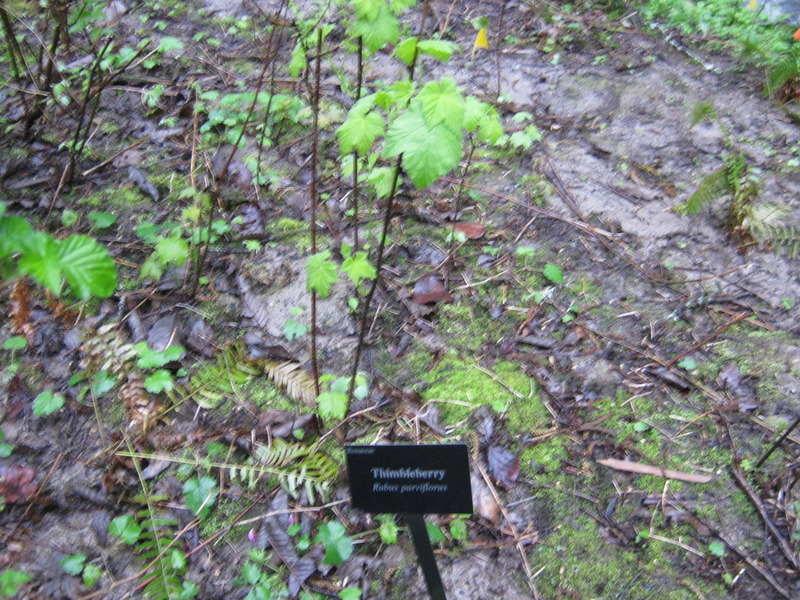 The plants are labeled. Take the side trips to the pond and creek as you encounter them; none of these side trails are longer than a few 100 feet. 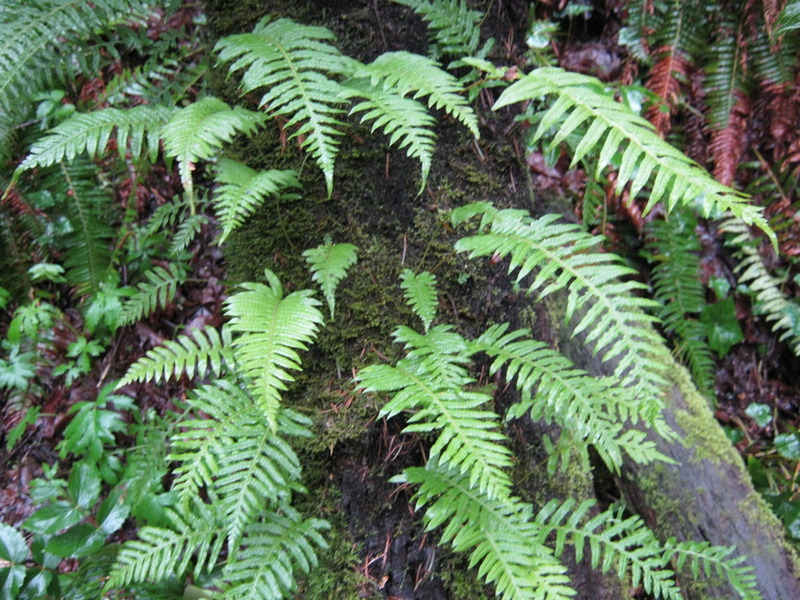 There are ferns growing out of logs that give the area a rain forest feel. Circling around the Jay trail, cross back over the stream and ascend to the parking lot. The trails are open dawn to dusk every day, and no pets or smoking are allowed. Find Lovejoy Street (yes, it is the Street that Reverend Lovejoy of "The Simpsons" is named after) and travel West. Lovejoy turns into Cornell, and continue Northwest on Cornell a little over a mile to the Sanctuary.